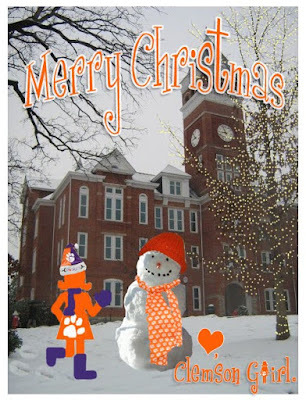 Merry Christmas from the Clemson Girl family to yours - we hope you had a wonderful Christmas and that Santa brought you everything you had wished for. We'll be watching the Tigers take on Kentucky on ESPN tomorrow night - Let's hope they get a big Win as a Christmas present. Go Clemson!